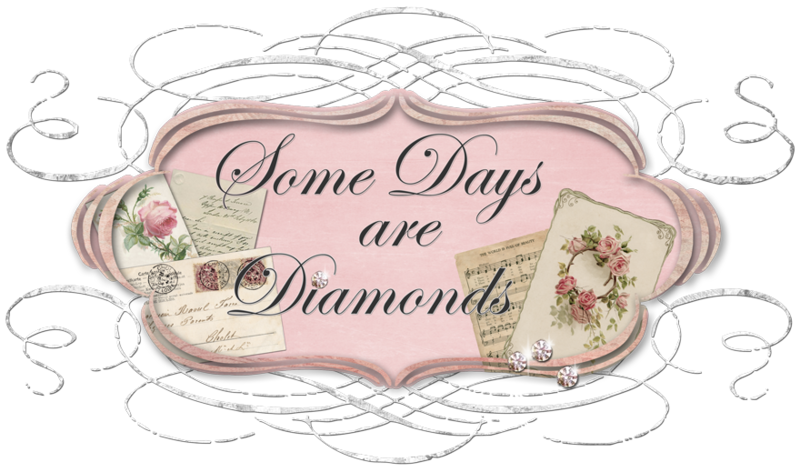 Some Days Are Diamonds: What does Heaven smell like? Some of my plants are almost done blooming already and it's kind of sad. while they are still blooming. So here's to you all of my blogging friends! Enjoy. they bloom every two weeks. It's wonderful! They are so pretty. But no scent - bummer. But the jasmine behind them more than make up for it. and then do it all over again, all summer long! As will the Spanish Lavender. Out front, it's all about the Geraniums! They literally encircle the front yard. It looks gorgeous, but it's very hard to get a pictures of! And then there is the Forsythia. This has gotten HUGE! Oh my goodness - it too smells like Heaven must! Karen your yard front and back are just gorgeous. I love the smell of jasmine and sweet peas. And the purple geraniums are so pretty. I think in Calif. you can grow just about anything with your perfect weather. I used to have gardenias growing when I lived in Long Beach. I miss the smell of them. Did you make it to the swap meet yesterday? Oh I love jasmine. My parents always have gardenias and jasmine. :) It looks so nice. Beautiful plants! I have lots of jasmine but it has never bloomed. Maybe this year? Have a blessed day! These photos are gorgeous!!! With the plants you have chosen I bet it smells heavenly!!! Hi Karen, Your yard is just beautiful! very very nice. I'm been looking for jasmine, so far no luck. I think i'm going to have to go to a more specialized garden center. I love all of your flowers..they are so beautiful. Karen.....your yard is fabulous! I don't have much blooming yet.....some purple and yellow swamp iris and my roses are slowly coming around! It has been raining so much that really my yard just smells like a mud hole....I hate it! Thanks for continuing to check on Emily and leave messages for David....this is really wearing him down! Karen your yard is just simply stunning!